We offer complete maintenance kits on a range of Suzuki outboards. 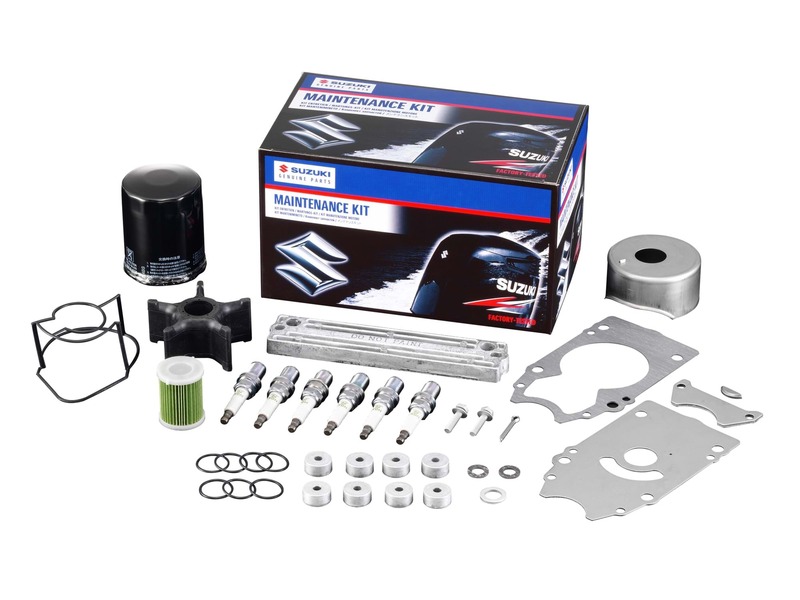 Each kit has the complete range of Suzuki Genuine Parts required for servicing your engine. There are 12 individual kits available ‘off the shelf’ that are application specific for each engine category. Kit contents will vary slightly depending on the application. Buy now or quote the part number to your local Suzuki Authorised Dealer.